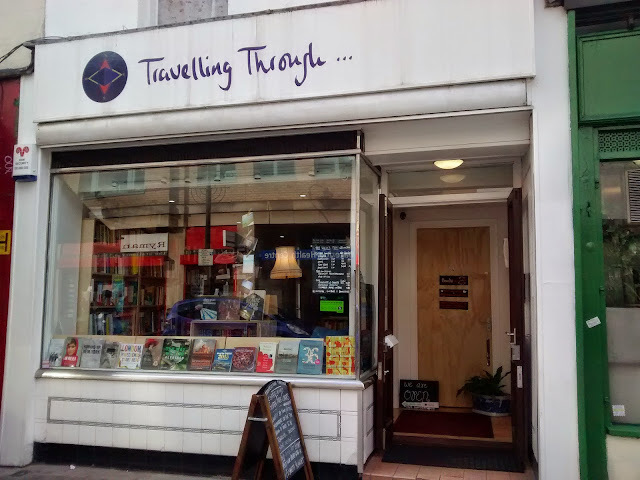 It always takes your author much longer and others to get to new openings, and yesterday an opportunity finally arose for a browse at Travelling Through..., the new travel bookshop and café on Lower Marsh near Waterloo which opened in October 2014. Inside the tiny little shop sit shelves packed full of interesting books arranged by place, walls adorned with art and a pleasant little café and terrace downstairs. *sigh* a travel bookshop, with a good cafe and exhibition of photographs. What more could a person want?